At Google I/O back in May, we saw the announcement of standalone Daydream virtual reality headsets from companies such as HTC and Lenovo. 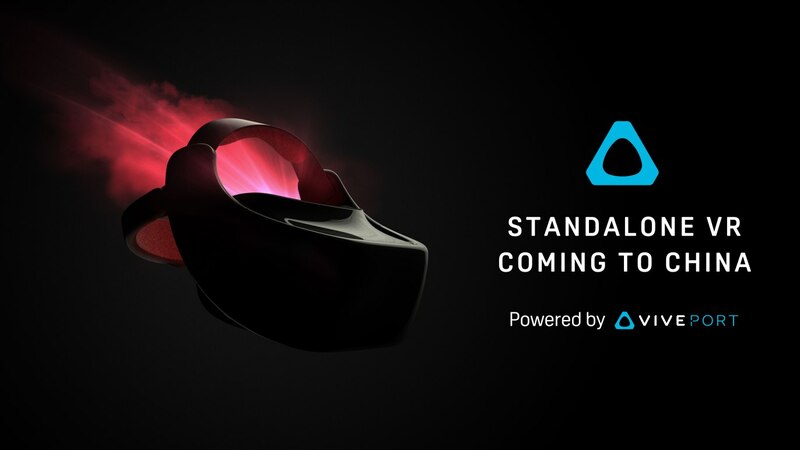 While they have yet to materialize, HTC has just announced that it's releasing the VIVE Standalone headset, and it will be exclusive to China. Introduced at the ChinaJoy Expo in Shanghai, it looks practically the same as HTC's upcoming standalone Daydream headset, but because Google's VR standard is blocked from release in China it has to use different technology instead. That's where Qualcomm comes in. Not only is the device powered by the top-of-the-line Snapdragon 835 chip, it will also use Qualcomm's proprietary VR platform. Not much else has been said about the specs, but judging by the design it's probably pretty similar to the VIVE Daydream headset that's coming later in the year. Product dimensions indicate that the screen is likely at least 5", but it's unclear what resolution the display will be. Pricing information was also noticeable by its absence, but it's being billed as a more affordable entry into the world of VR, so you can expect it to be considerably cheaper than the $800 the current VIVE hardware retails at. No release date was mentioned during the announcement, so whether or not this will beat the VIVE Daydream headset to market remains to be seen. We'll bring you more information as we get it.